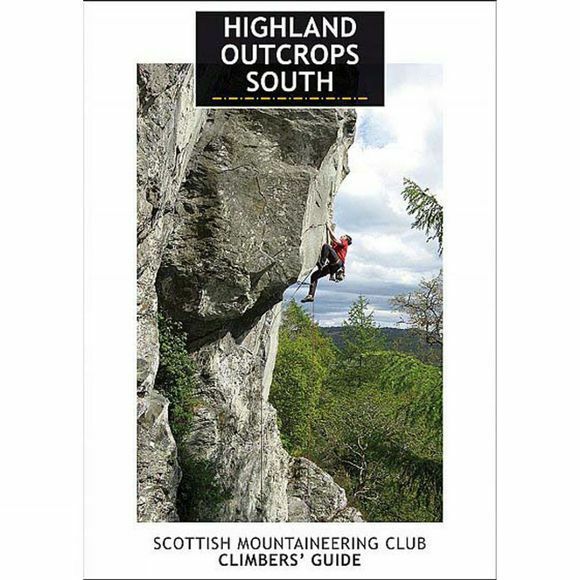 This Scottish Mountaineering Club definitive climbers' guidebook is the first volume of the long-awaited update to the popular Highland Outcrops guidebook. Highland Outcrops South covers crags south of Inverness and the Great Glen, including outcrops in Arrochar, Mid Argyll, Mull of Kintyre, Ardgour and Ardnamurchan. The very popular crags of Craig a Barns, Glen Nevis, Binnein Shuas and Creag Dubh are updated, and will continue to attract the day trippers from the Central Belt. The guide includes over 50 new crags, covering some 700 new routes in a total of about 2500. Full colour throughout with action photos to inspire, with detailed maps and photo-diagrams. The clear format is modern and user-friendly, including flaps on the cover that double as reference information and page markers, and colour-indexed tabs for quick location of crags of interest. Coordinating author Andy Nisbet is the most prolific winter and summer climber in Scotland, and has authored several climbers' guides. The suite of authors includes some of the most knowledgeable climbers in their areas: Stuart Burns, Geoff Hewitt, Kevin Howett, Colin Moody, Grahame Nicoll, Tony Stone and Andy Tibbs.